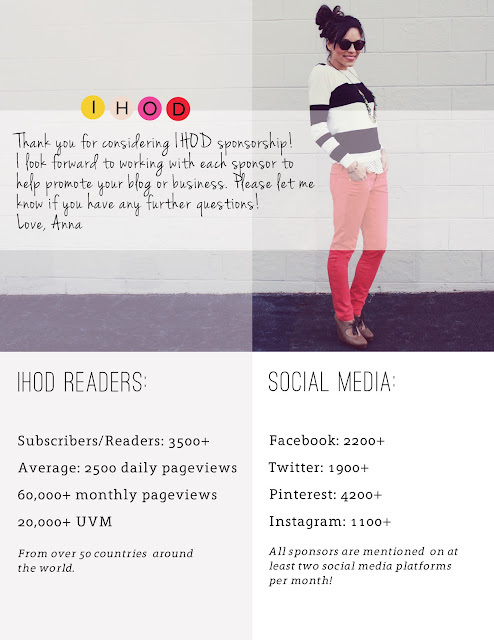 *If you would like to consider advertising for your blog or business, please email me and I will send you the sponsor package with current info on sizes, rates, giveaways, and features! Sponsorship allows me to continue to dedicate the time it takes to run the IHOD blog. I really enjoy working with sponsors to get them as much exposure as possible at an affordable rate!